Overlooking beautiful Eagle Harbor. 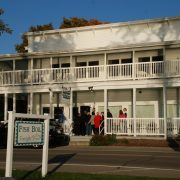 Enjoy a Door County fish boil in our historic setting. Featuring fresh whitefish (chicken and ribs available), potatoes, onions, coleslaw, homemade breads and cherry pie. 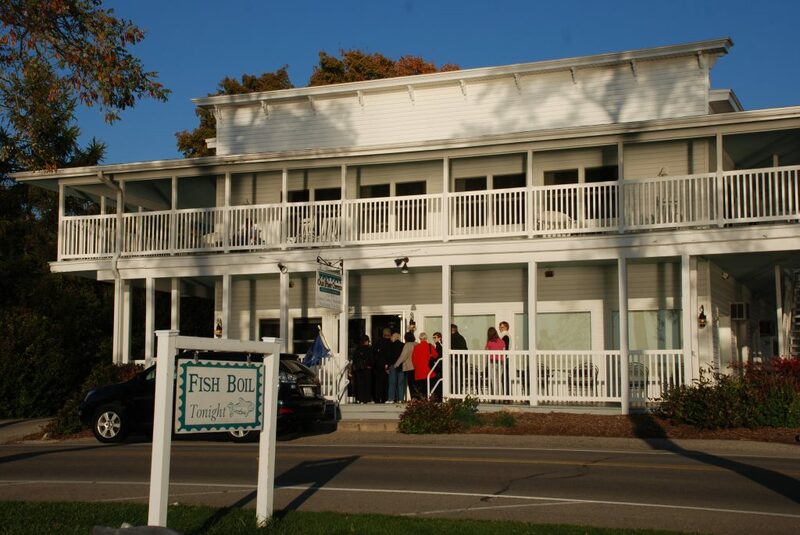 Fish boils are served Monday through Saturday, reservations requested. Now offering craft beer and select wine. Homemade breakfasts served daily, featuring cherry and blueberry pancakes, fluffy omelets, Belgian waffles, homemade coffeecake and cherry muffins. Open May through October. Outdoor patio seating available.